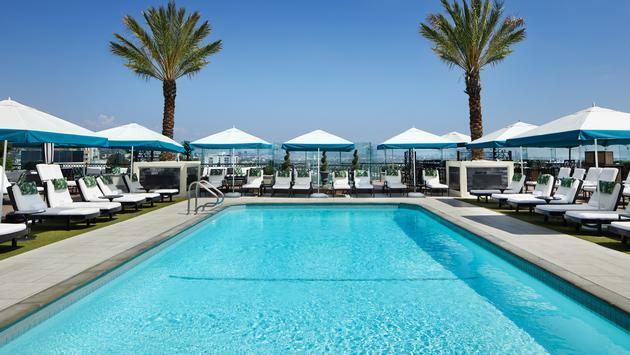 The rooftop pool at The London West Hollywood at Beverly Hills. Ever fantasized about what it’s like to live the life of an A-list celebrity? Well now you can experience it—at least for a few special days—thanks to The London West Hollywood’s "Red Carpet Rollout Package" and Intercon Century City’s “Over-the-top-Oscars Package”. Those that love cinema and television know it’s awards season in Los Angeles and now you can get pampered just like the stars in town for the festivities. Playing pretend celebrity for the weekend is certainly a unique vacation experience that can only be experienced in the City of Angels. Those interested in the Intercon Century City’s “Over-the-top-Oscars Package” will feel like true VIPS experiencing Los Angeles like a celebrity with inclusions such as 24k gold welcome cocktails at the hotel’s swanky lounge known for celeb spotting and luxury executive suite accommodations with impressive views of Hollywood, Downtown Los Angeles or the Pacific Ocean from your private balcony. The pampering continues with a Bloomingdale’s at Westfield Century City personal styling session with a $1,000 shopping credit to get you the perfect awards season look and the scoop on the latest trends; an in-suite appointment with the Glam Squad to get you red carpet ready complete with Champagne; and a VIP chauffeur service in the hotel’s house Tesla to any one of Century City’s hottest locales within a 1.5-mile radius. Movie buffs will be happy to know that The Academy Museum of Motion Pictures, a museum entirely dedicated to the art and science of movies, will be open later this year. The museum is planning on opening with an exhibit from Hayao Miyazaki, presented in collaboration with Studio Ghibli. Moreover, it will feature six stories filled with galleries, rare collections, David Geffen Theater for hosting premieres, events and performances and more. Visitors can enjoy a trendy poolside Mediterranean lunch at Veranda located within the hip Hotel Figueroa before heading to the nearby Grammy Museum. Switch focus to the history and significance of music at this interactive museum which celebrates all forms of it. Come nightfall, head over to the posh supper club Delilah where the vibes are almost too cool. Home to a 1920’s ambiance, enjoy American cuisine with classic cocktails in a place for those looking to see and be seen. For a more laid back Italian meal, check out Pizzana, a Brentwood hotspot known for its delicious pizza that’s been praised by the late Jonathan Gold himself. 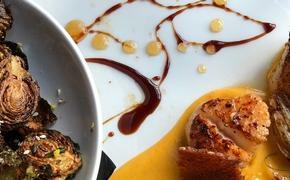 Wrap up the night with fancy cocktails and live jazz at Baltaire, a ritzy steakhouse for those looking to live it up. Over at The London West Hollywood, guests can look forward to star treatment with its "Red Carpet Rollout Package" which even includes the opportunity to throw an award show viewing party and luxe suite accommodations. Other fun things to be pampered with include Two Awards Show Shimmer Cocktails at The London Bar, $100 shopping gift certificate to The Beverly Center, Hair and Makeup at the Alex Roldan Salon for two and a take-home red carpet ready kit. Not to mention, the rooftop pool features panoramic views of the city making it unparalleled when it comes to relaxation in style. Want to get into shape? Take an adrenaline-pumping class at The Wall, L.A.’s newest boutique fitness hotspots opened by Jason Wimberly, a celebrity personal trainer whose clients include the likes of Kate Hudson, Selma Blair and more. I used to think I hated cycling, but I can honestly say his combination of cycling, strength training and high-intensity circuit training paired with his incredible ability to motivate made this class outstanding and one I’d regularly take. Post workout class, continue the star treatment at Sunset Tower with a lavish brunch at the elegant Tower Bar. Who knows? You might be sitting next to your fav celeb. We happen to be next to the talented Timothée Chalamet. Aka the nicest guy in Hollywood! If you’re feeling extra fancy, set up an appointment with Joanna Vargas Spa in the building which hails a celebrity clientele and selection of cutting edge treatments that include LED light therapy, cellulite-targeting radio frequency and cryotherapy. So who’s ready to live large? For more on The London West Hollywood’s "Red Carpet Rollout Package" or the Intercon Century City’s “Over-the-top-Oscars Package” click here and here, respectively.